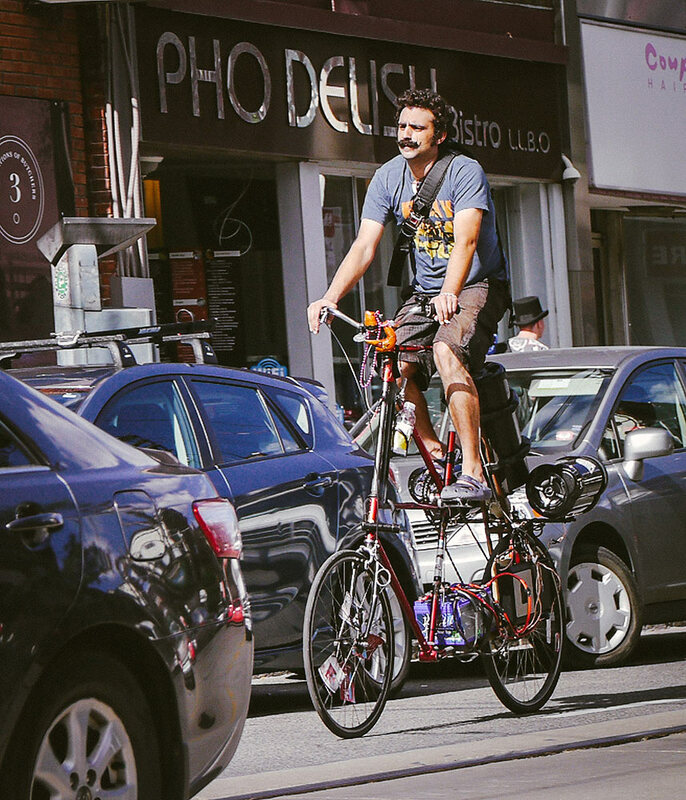 There is a metamorphosis to riding a bike in Toronto. Much like the analogy of a caterpillar turning into butterfly. 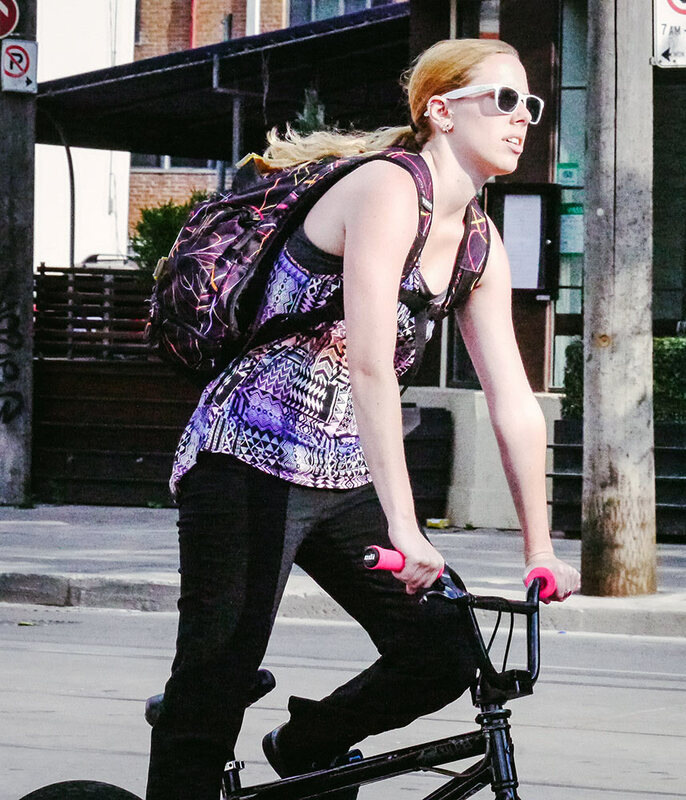 As an adult pushing down on a pedal for the first time, we break free from our norm and enter an unfamiliar world. We cautiously inch along the road and strike balance with a firm grip and fingers perched along the handbrakes. 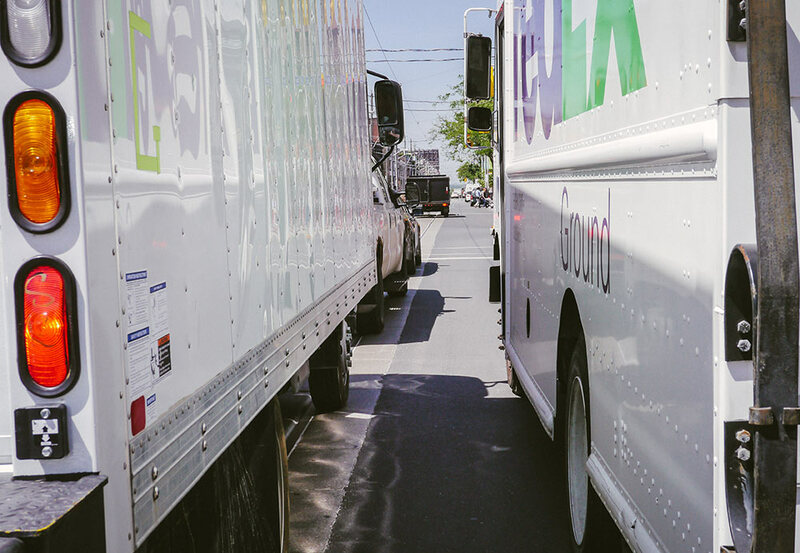 Our eyes flicker, focusing on obstacles to avoid, occasionally looking down while making quick adjustments to ride straight. With practice, our confidence grows. 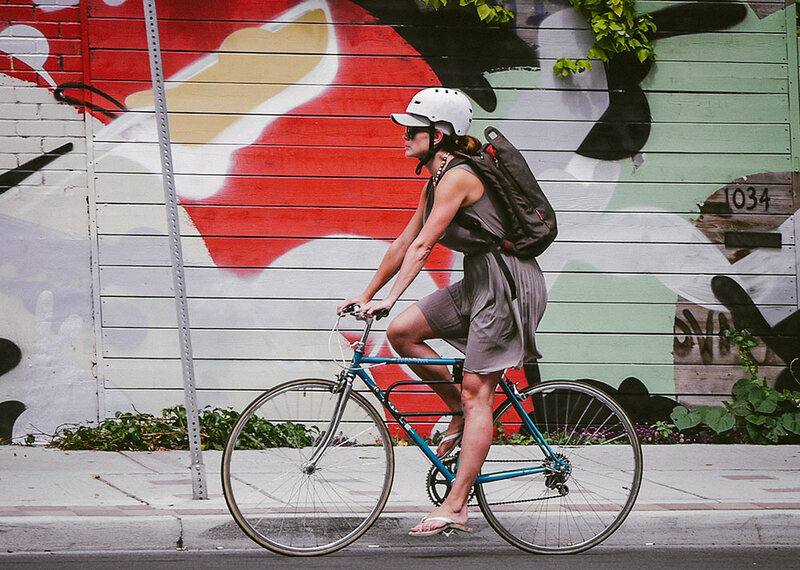 We head into unchartered waters, turning recreational rides into daily commutes. Our shoulders began to relax, grip loosens as each ride reaches a new level of satisfaction and accomplishment. 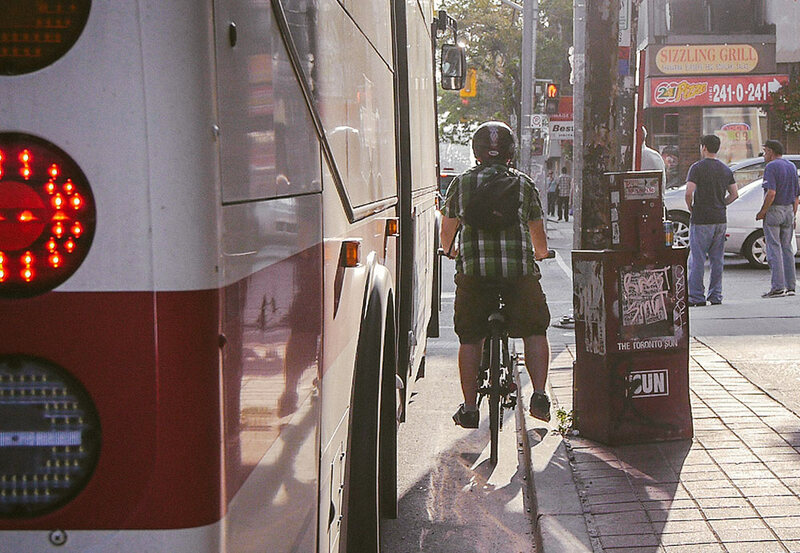 But before we reach the perfection of urban freedom, the Toronto cyclist must go through a right of passage. 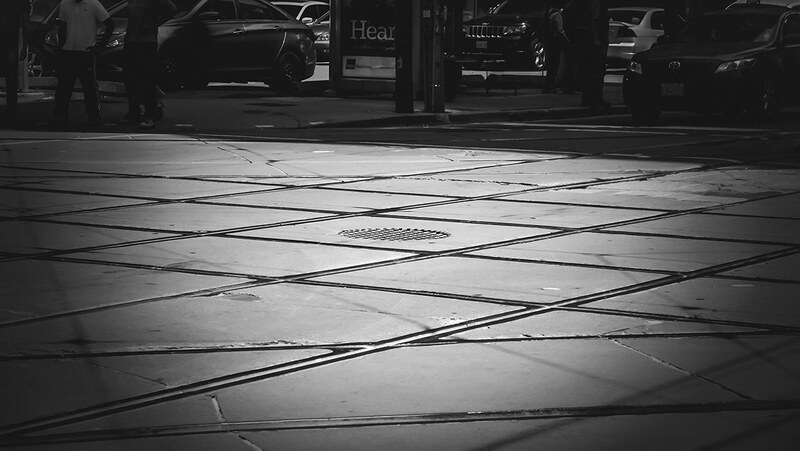 Whether it’s being clipped by a side mirror, doored by a parked car, run off the road by a cab, rattled by potholes or getting a wheel wedged in a streetcar track, accidents are inevitable. A number of people I’ve spoken to have been involved in a mishap of sorts. Only one person I know was involved in a serious incident but thankfully avoided tragedy. My first accident was self-inflicted. I found myself daydreaming as I was cruising down King Street West. I sloppily made a left turn but never made it all the way. My tire got caught in a streetcar track and went over my handlebars like a cork popping out of a champagne bottle. Fortunately only I suffered scrapes to my elbow and wrist and bruising to my ego. Moderately rattled by the experience, I began to notice that I held my breath and my grip tightened when I rode over tracks. While I was physically fine, something was jarred in my mind. Out of curiosity I went online to see what I could learn from the experiences of cycling in Toronto. What I found was alarming and the consensus was unanimous. Riding a bike in the city is dangerous. There were articles, tethered to a string of comments demonizing infrastructure. 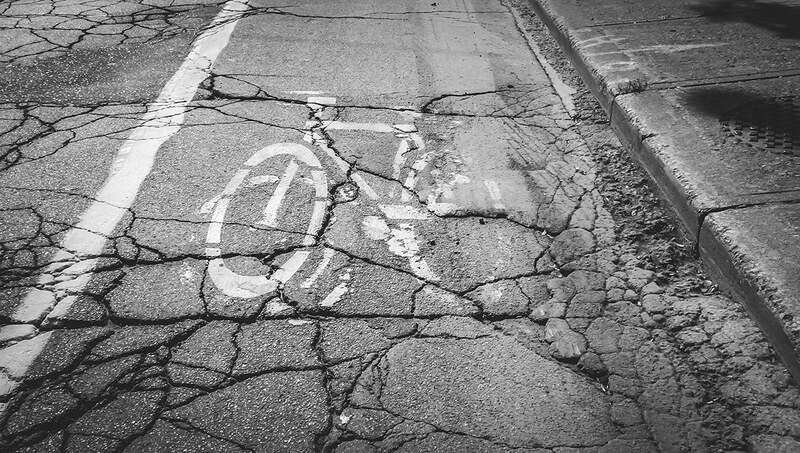 Numerous blog posts focusing on worst aspects of cycling in the city. Commentary on social media campaigned for the war on cars. There was a manic endorsement for wearing helmets and vicious criticism for anyone that didn’t. I felt discouraged after finding nothing bout a cauldron of fear and negativity. I felt like Toronto was broken. 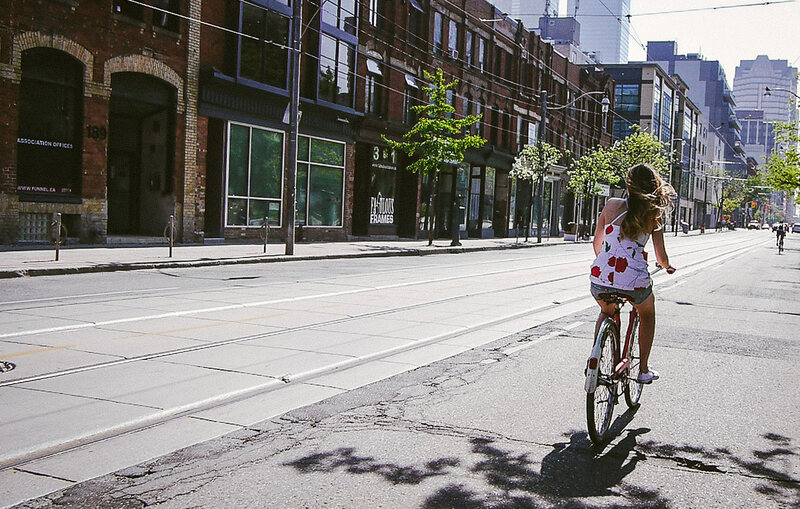 Is cycling in Toronto doomed? Sadly this aura of pessimism followed me around and culminated when I was at the Toronto Vintage Bicycle show. Overhearing a conversation, someone asked their friend why they don’t ride a bike. He mumbled in reply “because I heard it’s dangerous.” I wanted to say whoever he heard this from, this person is not you. I wanted to tell him it would be one of the best decisions he would ever make in getting a bike. I wanted to tell him that everything will change. Regretfully I said nothing. One day I realized the solution to break out of this cocoon of cynicism came from a choice. For all the reasons not to do something, there are always more that could be tacked on to the list. Ultimately it comes down to either either bike or you don’t. It’s that simple. 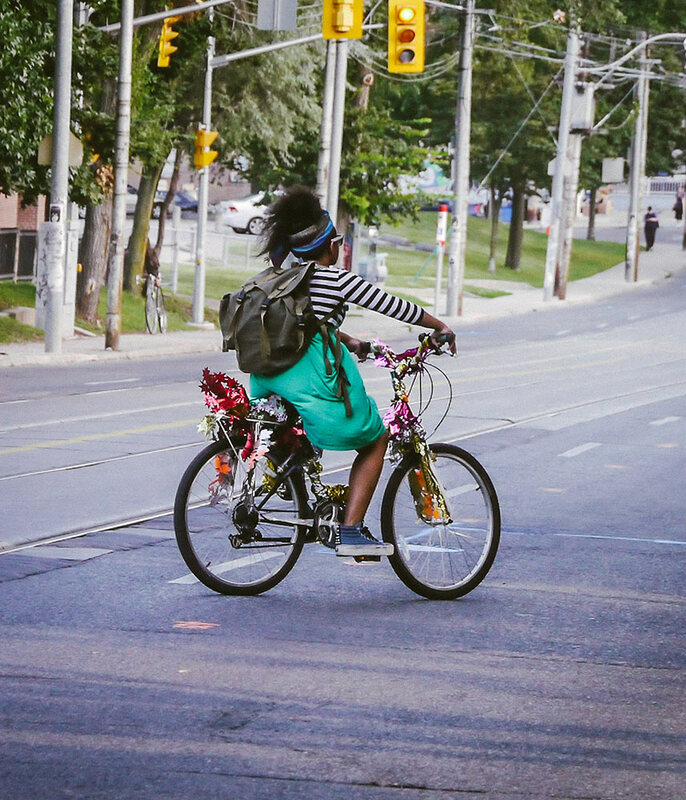 Setting aside any preconceived notions and accepting Toronto as the Wild West of cycling is a choice. 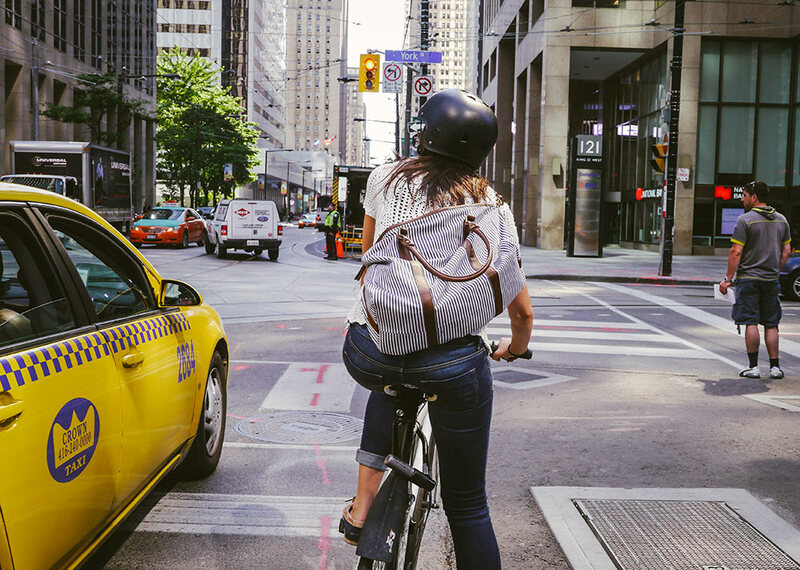 The decision to ride is the moment when metamorphosis takes place, leading one to experience real unadulterated urban freedom.